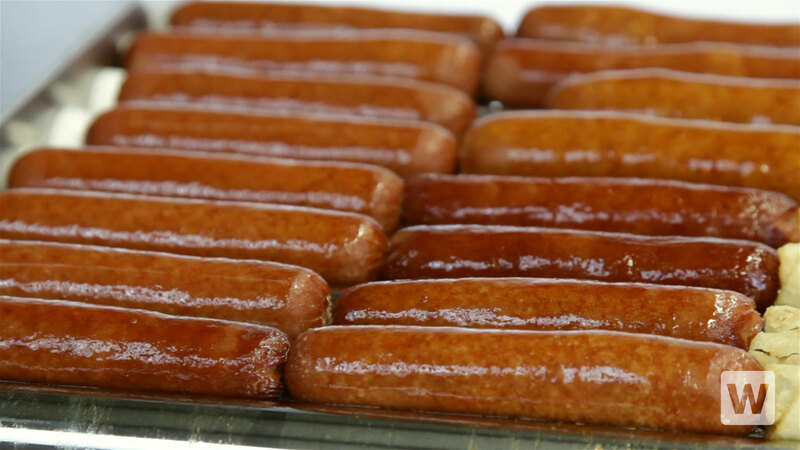 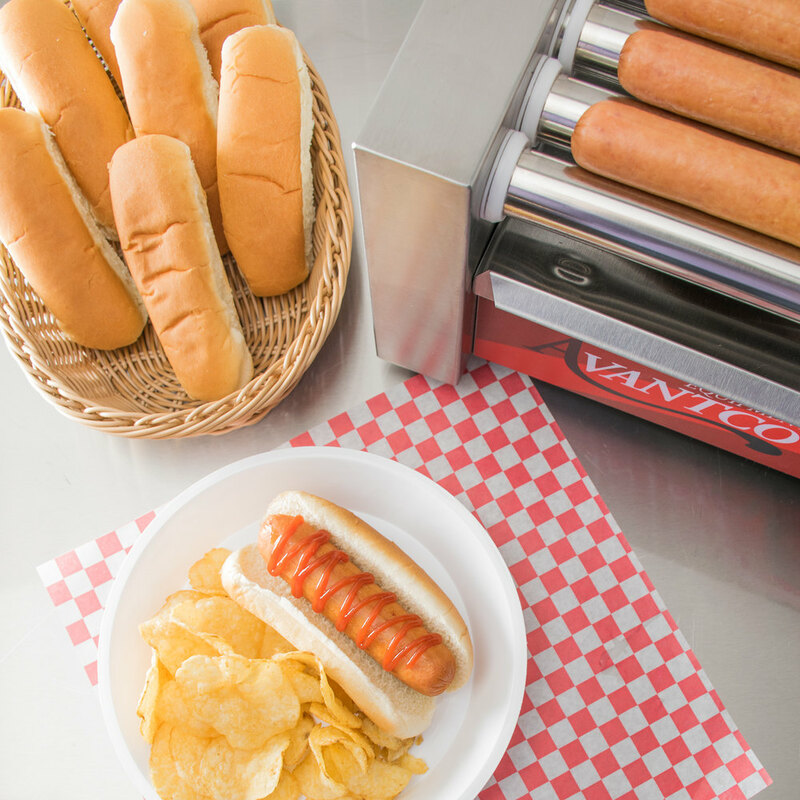 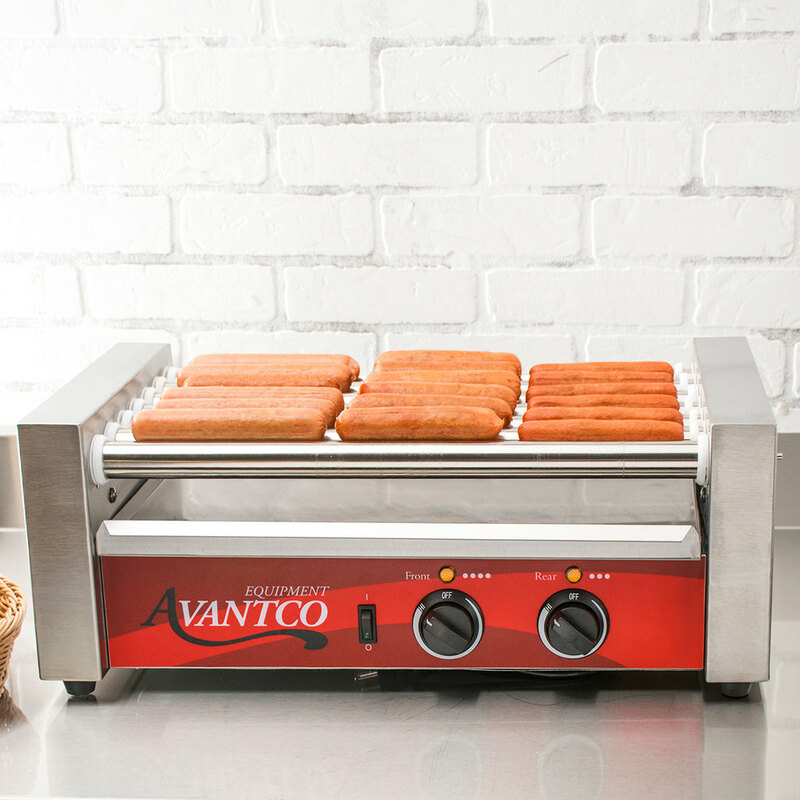 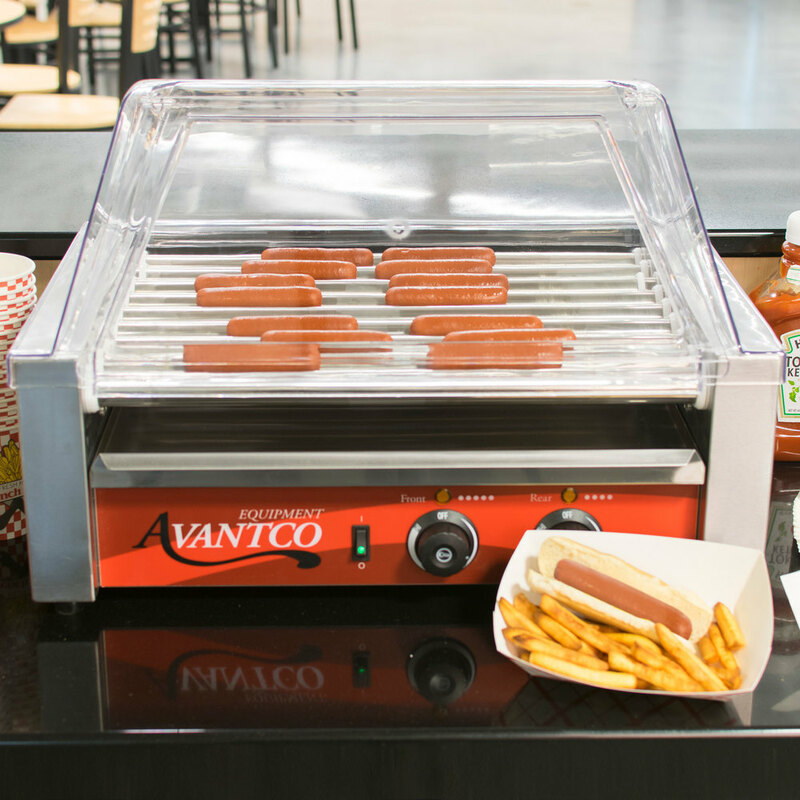 Great for concession stands, convenience stores, or anywhere where customers are looking for a fresh, hot snack on the go, this Avantco RG1818 roller grill boasts 7 rollers, 590W of heating power, and holds up to 18 hot dogs at a time! 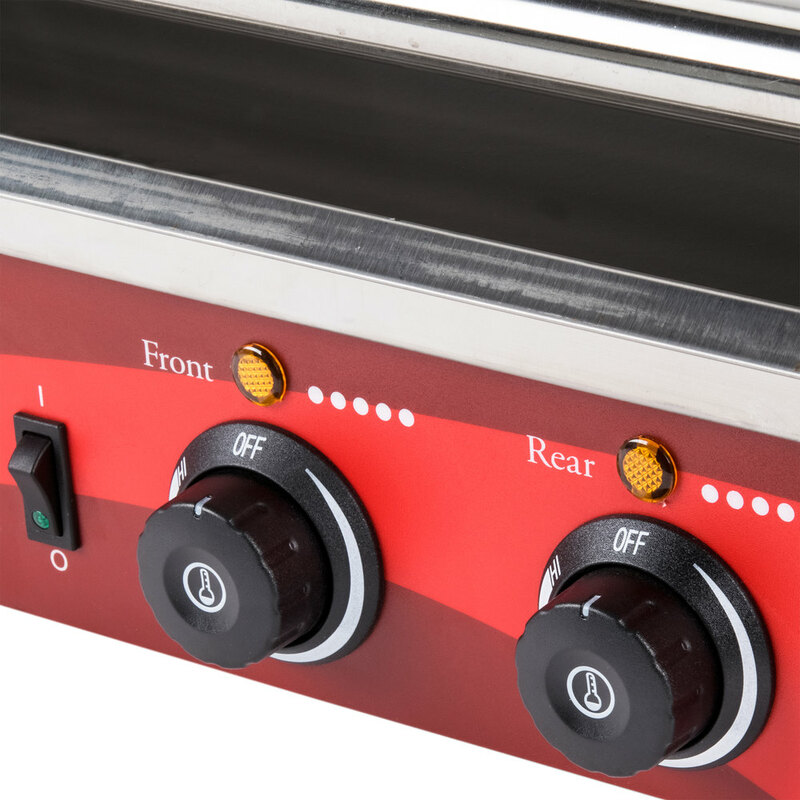 This unit features two temperature control switches so you can adjust for both cooking and holding. 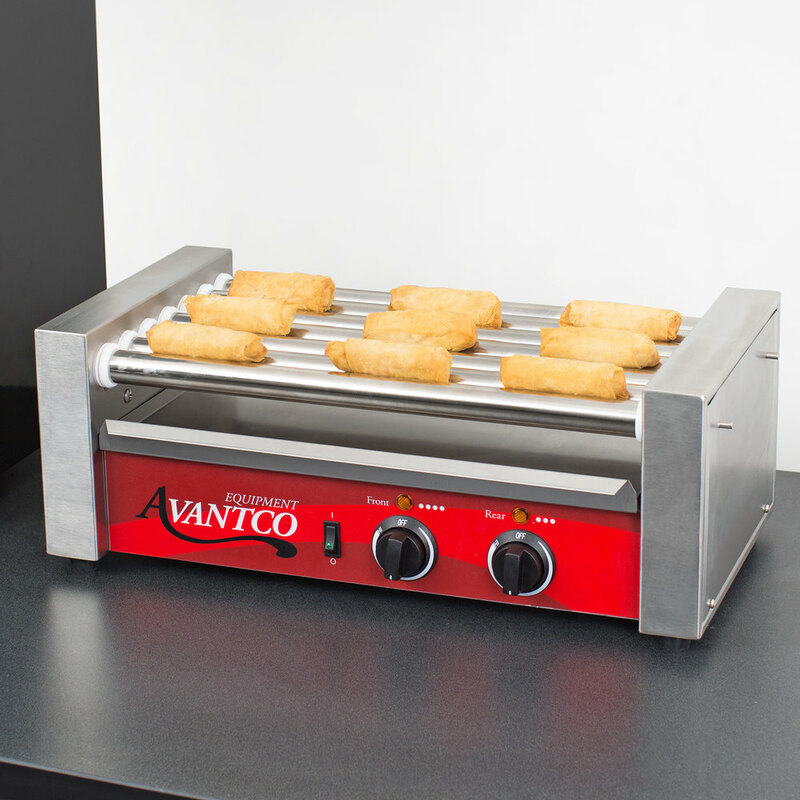 As the rollers continuously rotate to make sure that your foods are evenly cooked from all sides, the drip tray catches any grease or crumbs that may fall. 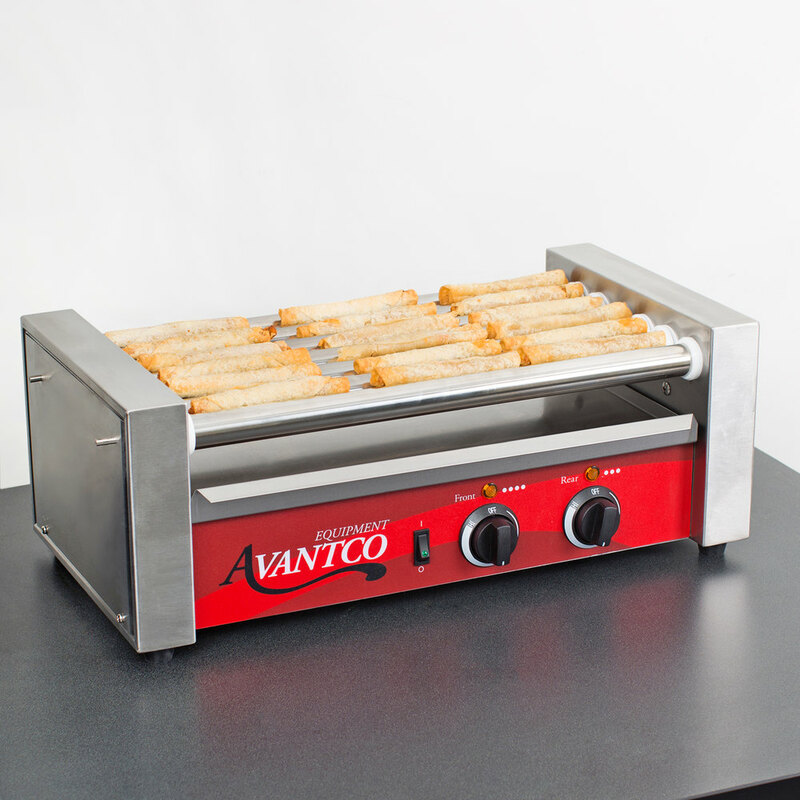 Since it can also be used for other items like breakfast sausages and egg rolls, you can further expand your hot menu with a single piece of equipment! 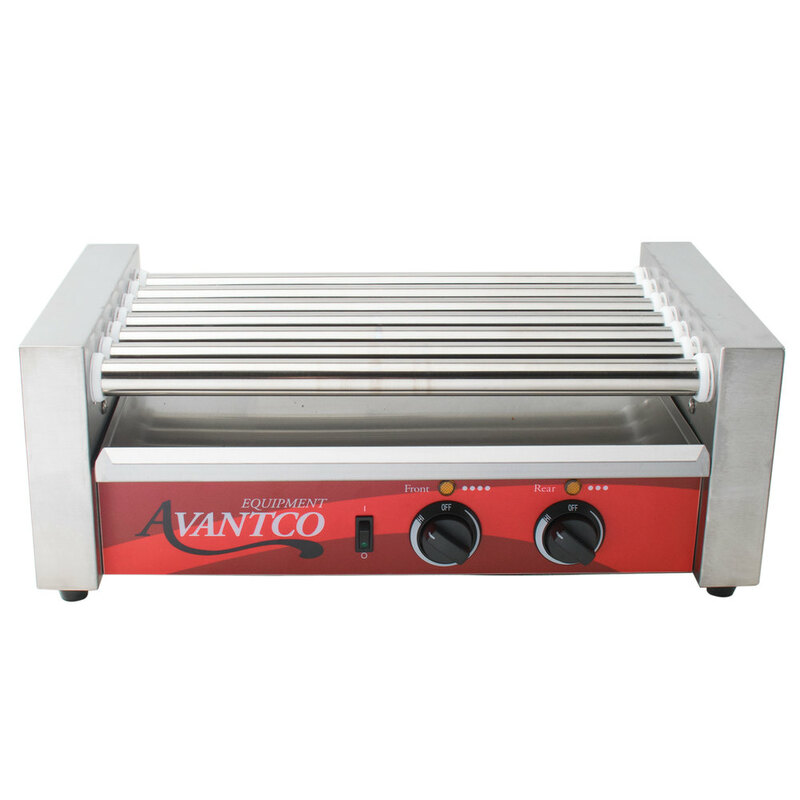 Made of durable stainless steel, this unit is sure to deliver years of reliable service in your business. 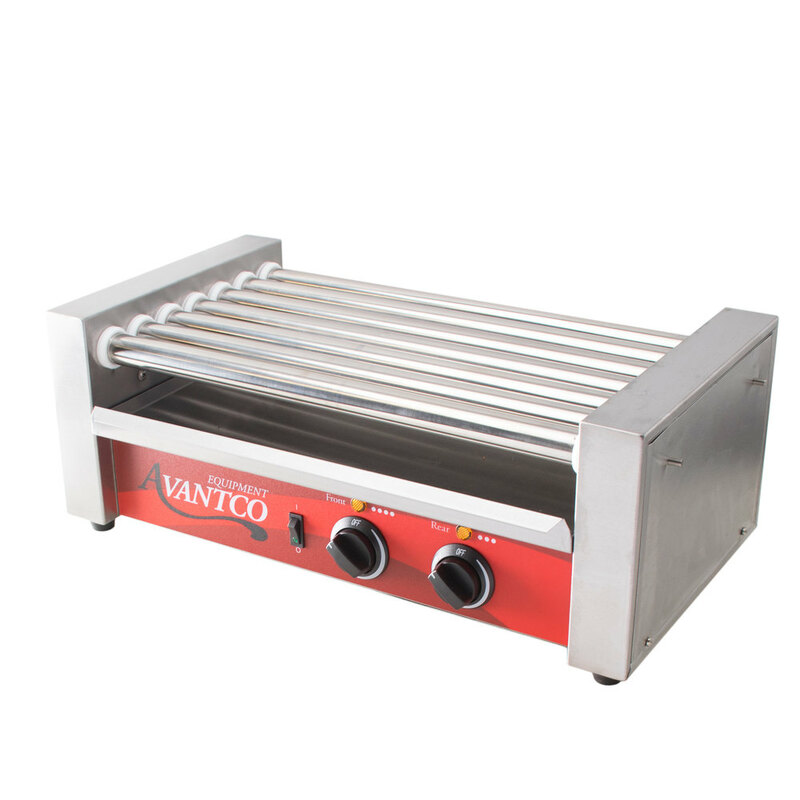 Its sturdy non-skid feet ensure that the grill won't move around during operation. 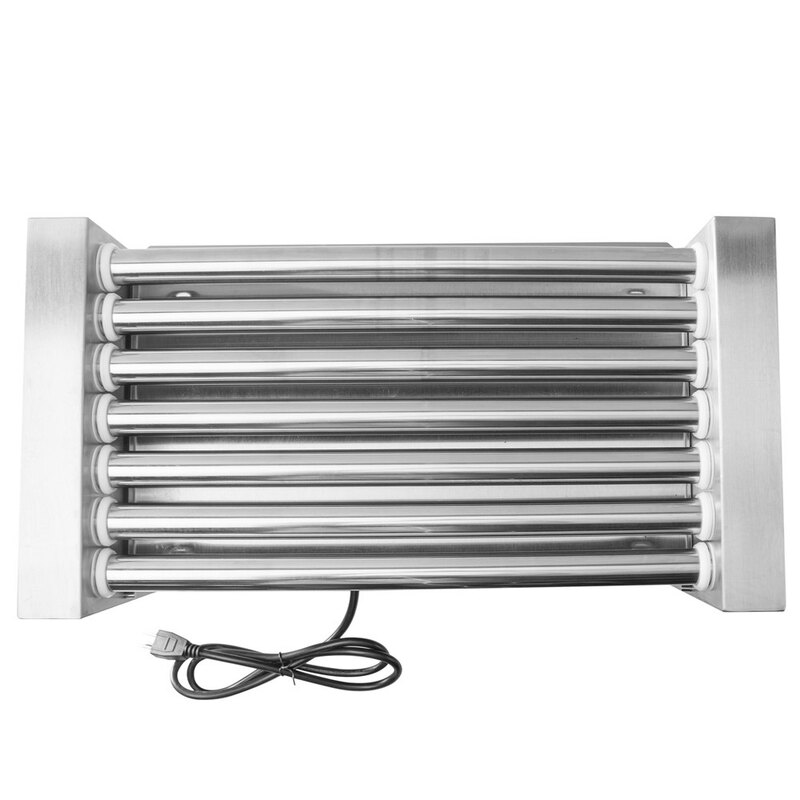 A 120V electrical connection is required for operation.